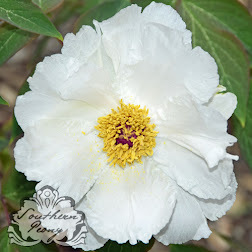 I am so excited about my 2015 American Peony Society Convention auction wins. 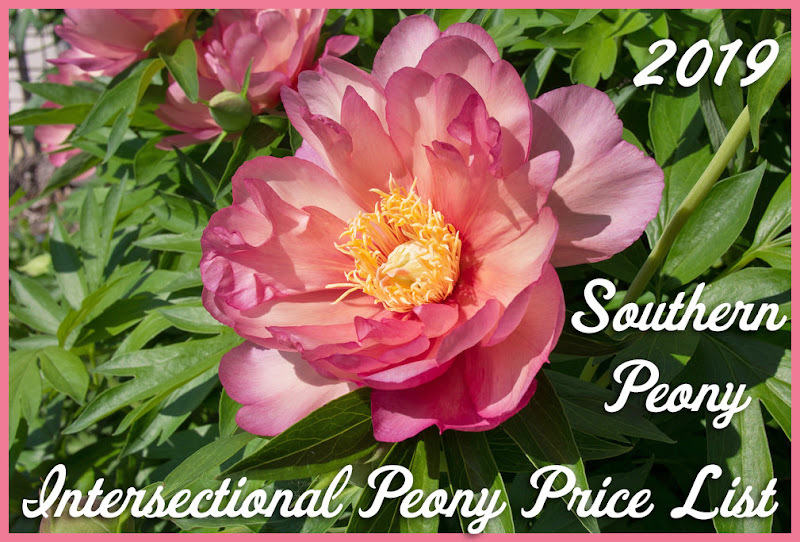 Not only was the convention a blast, but the auction also gave attendees and opportunity to add new and possibly rare peony selections to their gardens! 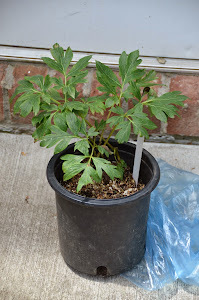 If there was one peony that I really wanted from the auction, it was Don Hollingsworth's Peony 'Love Affair'. I have been wanting this peony since 2013 when Hollingsworth Peonies was selling it for $150, and I have been waiting for the price to drop. However instead of the price dropping, they actually increased it this year. 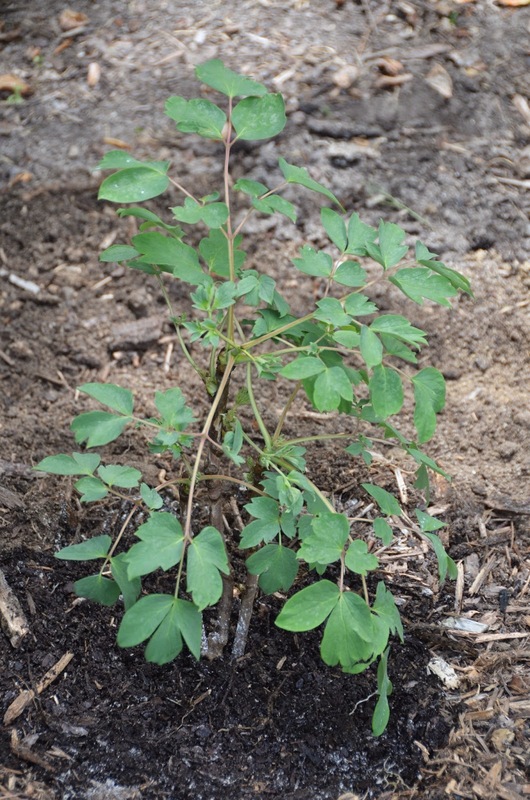 Also I did try to purchase it on Ebay last year, but it turned out to be Fake Itohs on Ebay - 4 (Not) Intersectional Peonies which was very disappointing. So I was prepared to pay $150 for it in the APS auction. However I was able to win it in the APS Auction for the lucky price of $90! I am so excited. I finally have the real one. I can't wait to see this peony bloom, and I'm curious to see how its foliage and blooms compare to my other white intersectional, Peony 'White Emperor'.